From our family to yours - Peri & Sons Farms is committed to passionately growing superior produce and using environmentally friendly farming methods. Nothing is more important to them than family, and fresh produce. That is why they have made it their mission to bring you produce that strictly follows food safety guidelines and is sustainably responsible. 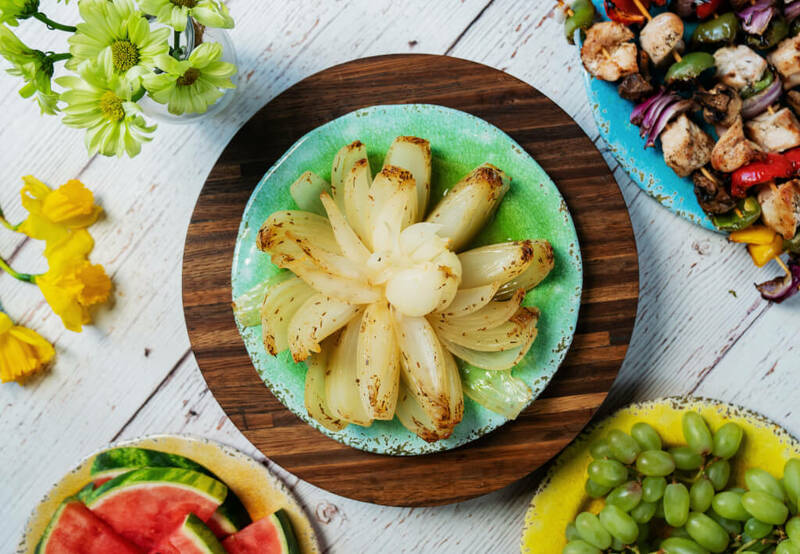 To make your summer grilling experience seamless and convenient with Peri & Sons Farms Sweet BBQ Bloomer Onion! 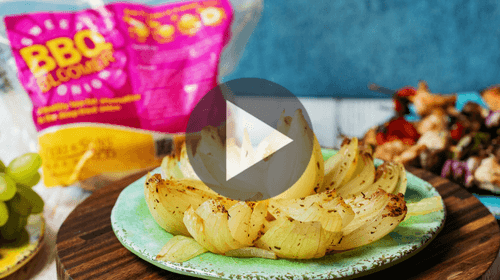 You can serve this easy to make, delicious onion as a side dish or as an appetizer. It is the perfect alternative to deep fried, unhealthy onions. It's low in calories and fat but high in fiber. Once you've tried it you won't want to grill without it! Whether you are grilling for the family, looking for a snack, or looking to entertain this summer the Sweet BBQ Bloomer will be a perfect addition for you. Peri & Sons Farms has even created four delicious dips that pair perfectly with your yummy onion! Check them out here. 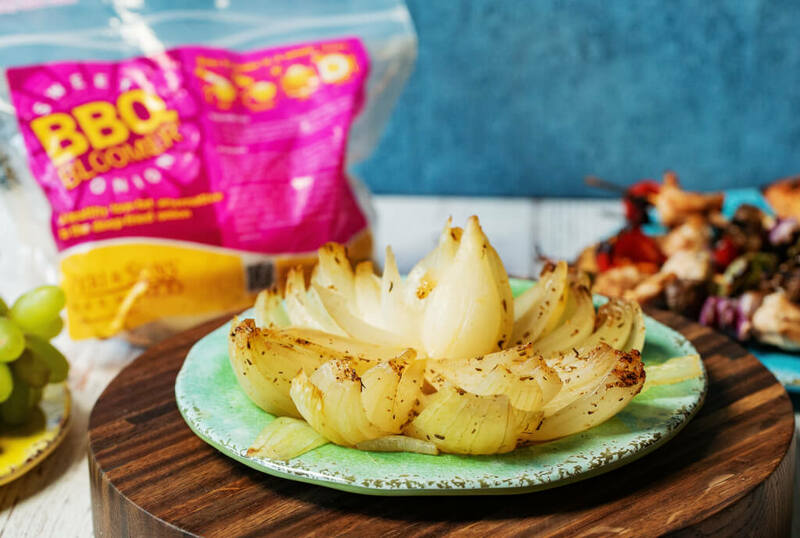 Plus, you'll know you're making a good choice when choosing to grill this tasty onion. Onions are so good for you as they are fat free, cholesterol free, and low in sodium! Onions contain a flavonoid called quercetin, a potent antioxidant, and they contain anti-allergy, antiviral and antihistamine properties. Peri and Sons Farms has managed to make the packaging as convenient as possible. The Grab-and-Go bag contains one large colossal Onion, a savory spice blend packet, and easy to read printed instructions on the bag. They also added a scannable QR code on the bag so you can watch their personal cooking video, dip recipes and more. It's fast to fix in just 4 easy steps – see how we grill it up! 1 Packet BBQ Bloomer Spice Blend – included! With a sharp knife, slice 1/2 inch off the top of the onion and then peel off only the outer-most layer. With the root-side down, begin at the top and cut 12-16 wedges cutting only down to about 1/2 inch of root end; although slit, the onion should remain whole. Place onion on a double thickness of heavy-duty foil (about 12 in. square). Open wedges slightly; sprinkle with either the fresh thyme, rosemary, salt, paprika and pepper recipe or our pre-prepared dried herb mix. Drizzle with butter or olive oil. Fold foil around onion and seal tightly. Grill, covered, over medium heat for 30-35 minutes or until tender. Let cool for 5 minutes. Unwrap and enjoy!